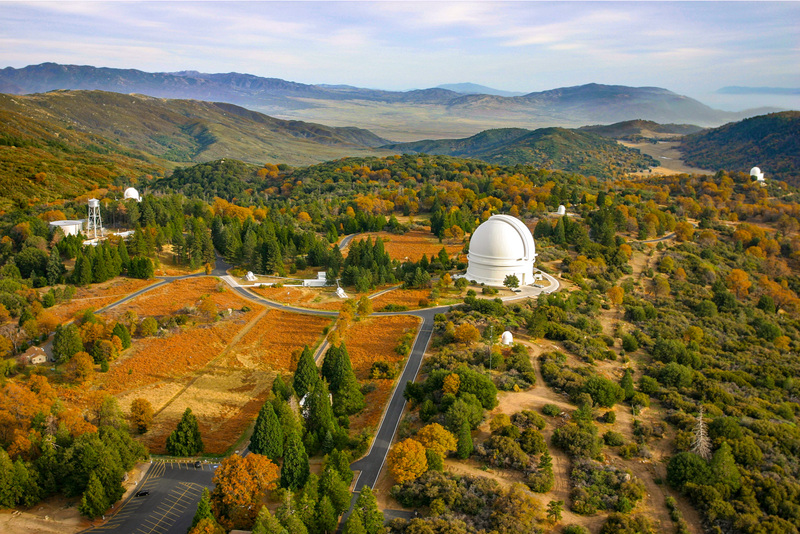 Palomar Observatory, located atop Palomar Mountain in north San Diego County, California, is a center of astronomical research owned and operated by Caltech. The Observatory is home to three active research telescopes: the 200-inch (5.1-meter) Hale Telescope, the 48-inch (1.2-meter) Samuel Oschin Telescope, and the 60-inch (1.5-meter) telescope. Research at Palomar Observatory is pursued by a broad community of astronomers from Caltech and other domestic and international partner institutions. The different sections of this website touch on the various aspects of the Observatory—the place, the science, the tradition, and the people who have made it special—as well as provide information on visiting logistics and how to get involved in its continuing mission. Inclusively share the Observatory's research mission and tradition with students and the general public, thereby supporting awareness and enthusiasm for science and technology and the roles they play in our society.